Monday at the earliest. Received really only means fedex box received. Where is the percentage listed? Where is the percentage listed? How do I view my percent score? You have to go to your exams and click on the exam you want to review. Under that tab should have a ‘view score’ tab. Hope that helps! Passing scores take longer to post? 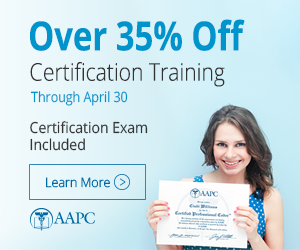 I’ve taken the CPC exam 3 times already. I failed the 1st time with a 42% and then failed the 2nd with a 64%. Both of these scores with posted online on Thursday night (5 Days from exam date(Sat)) and this 3rd time I’m feeling pretty confident I passed but I’m not sure. Does anyone know if passing exams take longer to post online? Has anyone received a pass within 5 days before?